On a recent Saturday, when our evening plans capsized, my sister suggested we take the folks out for a ‘surprise dinner’. A text message was sent to both of them advising them to be ready at the front door for 8pm. We scurried out of the house and into the car, my dad sitting quietly trying to figure out where we were going by the direction I was driving in whilst my mum asked 101 questions! With my mum being veg on four days in a week, our weekend dining choices are always based around the amount of meat on the menu. 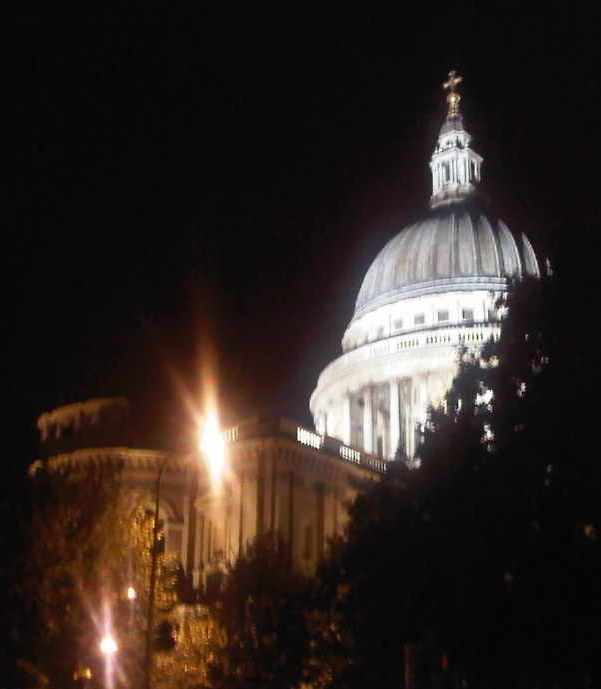 On this particular Saturday we drive through Holborn, took a right towards Farringdon and down into St Pauls. The first thing to hit you in the face is the stunning 17th Century Cathedral, although my parents only noticed it when we told them to ‘look up’. Turning off the main road, I navigated a route of smaller more narrow roads including the aptly named ‘Gutter Lane’ and eventually pulled up outside a rather elegant looking restaurant. We were seated by our waitress in the corner of the room that was sparsely populated, but given that we were in a city restaurant on a weekend, we weren’t phased at all. 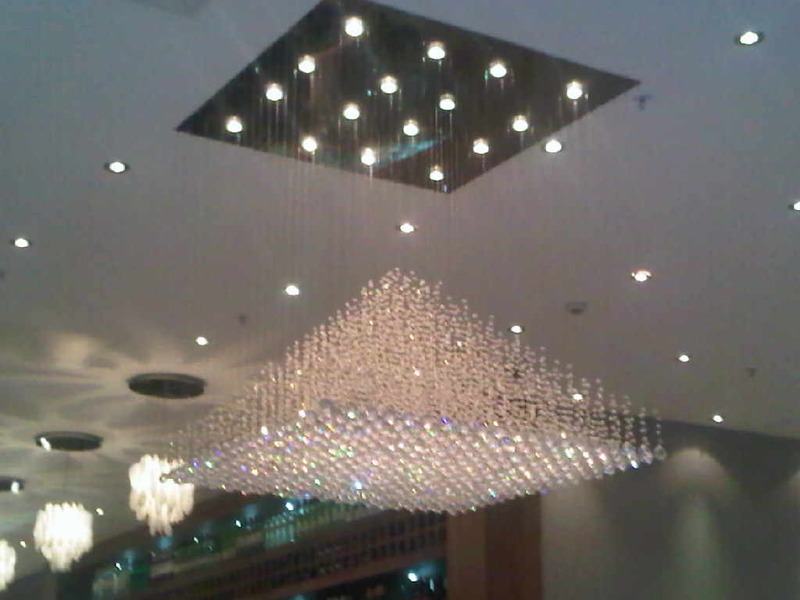 The restaurant itself made you feel like you were somewhere other than London, the middle east maybe, it was an extremely large space with rather elegant but slightly over the top chandeliers hanging from the ceiling. A perfect space, we thought, to hire for a birthday gathering. Muhammara – We were not at all impressed. I insisted we order the dish which is usually a nutty, peppery dip, but instead we were served a dish which had quite obviously been burnt. Karides Tava – Described as ‘sautéed prawns with garlic and fresh tomato’s’, these were ok, not anything amazing at all, infact the tomato’s I felt took away from the flavour of the prawns. Zeytinyagli Dolma – For those who aren’t familiar with dolma, it is quite simply a rice mixture, wrapped in a vine leave and steamed. Whilst my sister complained of them being slightly too sweet, I quite liked them! Hellumi – After trying the Hellumi at Yalla Yalla, I was transported into a distant land. The Hellumi at Haz was quite the opposite, it was chewy and overcooked! Bakla (Broad beans in a yogurty sauce) – The nicest broad beans I’ve tasted were at Ozer. In comparison, these were far too tart for my liking. A little tweak and they would have been acceptable. 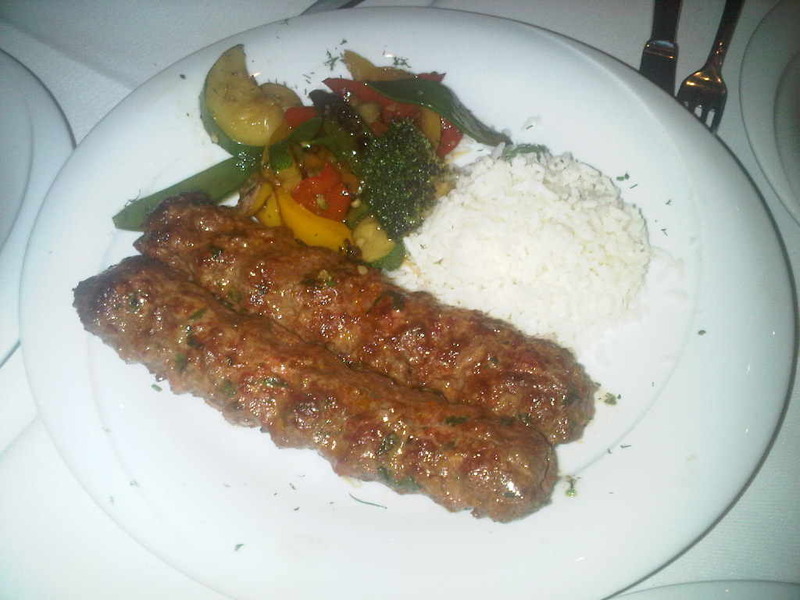 Icli Kofte – I was expecting a nice grilled kofte, but was instead served rather heavy, deep friend kibbe. Looking back at the menu now, it would seem we were given the wrong Kofte! Hummus Kavurma – The hummus had a nice flavour, but the lamb was a little too chewy. Again not impressed. Tabule – Whilst missing the lemon juice which would have made it a tabule, the salad itself was nice. Once we’d finished our starters, the waitress cleared out table. We were then given menu’s and left to look at the options. It took a few seconds to realize that our waitress had in fact given us the dessert menu. Having only eaten starters we had to question whether we’d either ordered too many dishes to deserve a main mean or if the waitress was simply wanting us to finish so she was one table closer to starting her Saturday night. My sister, a true dessert lover, was not going to complain however as it gave her a chance to scope the dessert options before devouring in far too much for her main meal. We finally managed to flag down another waiter and advised him that we had been given the dessert menu. He quickly gathered up the menus and gave us the main menu. We placed our order and waited for it to arrive. 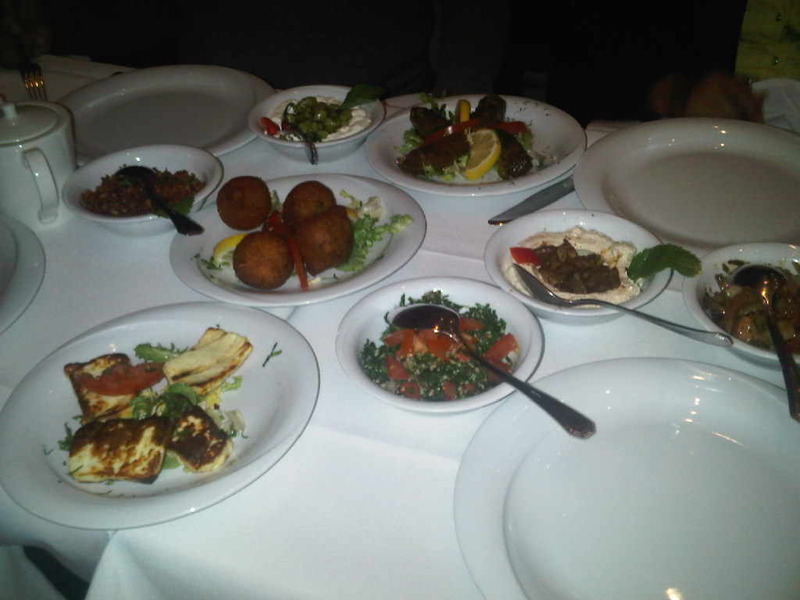 Given that we obviously had eaten a fair bit at the meze part of the meal, we decided it would be best to simply order one dish for our main. Our Kofte arrived and we were pleasantly surprised by the size of it. It was an extremely healthy portion size. However whilst the meat was soft, tender and very juicy, it wasn’t overly flavoursome. Last but not least we ordered our dessert. We were extremely impressed with the creme brulee. I have to say, we wern’t overly impressed with the food here despite having heard lots of good things. It could be the fact that we visited on a quiet weekend and need to give it a second go before striking it out altogether. However the fact that I don’t work in the city coupled with our ok experience doesn’t really give me much of a reason to run back for a second visit! Call me harsh, but I’m only being realistic! Saying that, if your in the city on a weekday, why not give Haz a go and let me know what you think! On another note, Haz is part of a chain, my review is specific to the St Pauls branch, other branches may offer you a much better foodie experience!